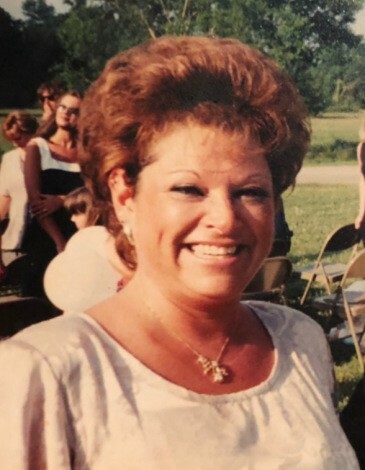 Mrs. Michelle Caswall Garza, 61, resident of Lewisburg, died peacefully on April 13, 2019 at Maury Regional Medical Center surrounded by her family. Born on May 16, 1957 in Perrysburg, Ohio, she was the daughter of Lenard Caswall of Tucker, Georgia and Beverly Cannizzaro Brown of Portland, Tennessee. She was married to Robert Frank Garza, Sr., who preceded her in death on July 28, 2017. Michelle enjoyed sewing, crocheting and loved spending time with her grandchildren. In addition to her parents, she is survived by her sons, Robert Garza, Jr. of Murfreesboro, Sean Garza of Houston, Texas, Anthony Garza of Unionville, Michael Garza of New York City, New York; daughters, Carlita Richards of Lewisburg, Melissa Bradford of Lewisburg; brother, Jeff Caswall of Greensboro, North Carolina; sister, Becky McMinn of Stone Mountain, Georgia; and eight grandchildren. Family and friends are invited to share fond memories and celebrate Michelle's life with a Memorial Visitation on Tuesday from 4:00 - 8:00 P.M. at Bills-McGaugh & Hamilton Funeral Home.